Rohingya refugees returning to Myanmar will have no explicit guarantees of citizenship or freedom of movement throughout the country, under a secret agreement between the government and the United Nations seen by Reuters. The UN struck an outline deal with Myanmar at the end of May aimed at eventually allowing hundreds of thousands of Rohingya Muslims sheltering in Bangladesh to return safely and by choice, but did not make the details of the deal public. Reuters on Friday reviewed a copy of the memorandum of understanding (MoU) agreed between the UN and Myanmar authorities. The draft also leaked out online. Citizenship and rights of refugees who return to Myanmar were key points of contention during negotiations over the agreement to restore access to conflict-ravaged Rakhine state for UN agencies that have been barred since last August. The MoU states “returnees will enjoy the same freedom of movement as all other Myanmar nationals in Rakhine State, in conformity with existing laws and regulations”. However, it does not guarantee freedom of movement beyond the borders of Rakhine or address the laws and regulations that currently prevent Rohingya from travelling freely, according to the text seen by Reuters. Refugee leaders and human rights groups say the agreement fails to ensure basic rights for the Rohingya, some 700,000 of whom have fled a military crackdown some Western countries have called “ethnic cleansing”. 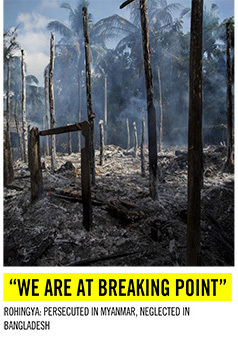 “As it stands, returning Rohingya to Rakhine means returning them to an apartheid state – a place where they can’t move around freely and struggle to access schools, hospitals and places they rely on for work,” said Laura Haigh, Amnesty International’s Myanmar researcher. “Nothing in this document provides any guarantees that this will change.” The UNHCR, the UN’s refugee agency, has previously called the MoU a “first and necessary step to establish a framework for cooperation” with the government. Myanmar government spokesman Zaw Htay and Social Welfare Minister Win Myat Aye did not answer multiple phone calls seeking comment. The director of the Ministry of Labour, Immigration, and Population said he was not authorized to comment and directed enquiries to the permanent secretary, who did not answer the phone. Reuters confirmed the contents of the MoU with sources at two international non-governmental organizations. The 30 May draft seen by Reuters was written a day before the deal was signed, but the phrasing of key sections was consistent with a background briefing by UNHCR for diplomats and NGOs also seen by Reuters, and a letter from UNHCR explaining the agreement delivered to refugees in Bangladesh. 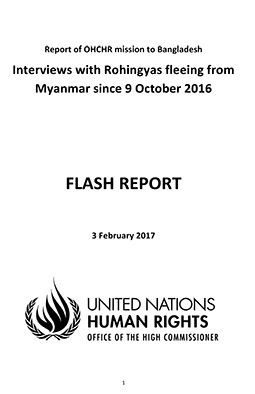 Rights groups and aid agencies said the UN High Commissioner for Refugees and the UN Development Programme, which spent months negotiating the deal, had not won strong concessions from the Myanmar government, especially on the key issues of citizenship and freedom of movement. A UN spokeswoman said its policy was “not to comment on leaked documents”. “UNDP and UNHCR and the government of Myanmar continue the discussion about publicly releasing the text of the MoU,” the spokeswoman said in an emailed statement. Buddhist-majority Myanmar does not recognize the Rohingya as an indigenous ethnic group and so denies citizenship to most. The government refers to them as “Bengalis”, a term they reject as it implies they are interlopers from Bangladesh even though many trace their roots in the country back generations. The MoU, which does not refer to refugees as Rohingya, requires the government to “issue to all returnees the appropriate identification papers and ensure a clear and voluntary pathway to citizenship for those eligible”. But most Rohingya leaders say they will not return without guarantees of citizenship and reject the National Verification Card, an alternative identity document Myanmar has been pushing them to accept, saying it classifies life-long residents as new immigrants and does not allow free travel. On Monday, Reuters reported a senior Myanmar official told Western diplomats that a proposal to review a citizenship law that effectively renders Rohingya stateless could not be implemented. “We are very angry with this MoU,” said Mohibullah, chairman of the Arakan Rohingya Society for Peace and Human Rights, a Rohingya organization based in the refugee camps in Bangladesh. 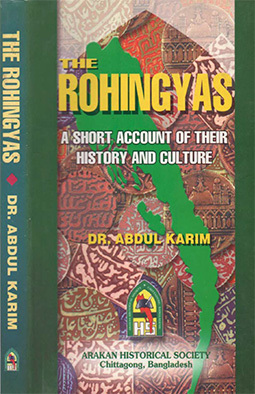 “It does not mention the term Rohingya.